If you suffer from back pain, you’re not alone. 80% of adults say they’ve experienced lower back pain at some point in their lives. In fact, back pain is only second to the common cold for the top reason people miss work. So, this much prevalence must mean it’s a natural occurrence that very few can escape, right? Hardly. There are many reasons why people experience back pain. Slipped discs, pulled or strained muscles, and sciatica are only a few. Most people can take it easy for a few days or apply heat and ice and be fine. Others aren’t so lucky. No matter what they do, they never get any relief. For chronic back pain sufferers, spinal surgery is an option. While no one gets excited at the thought of going under the knife, there are several benefits. 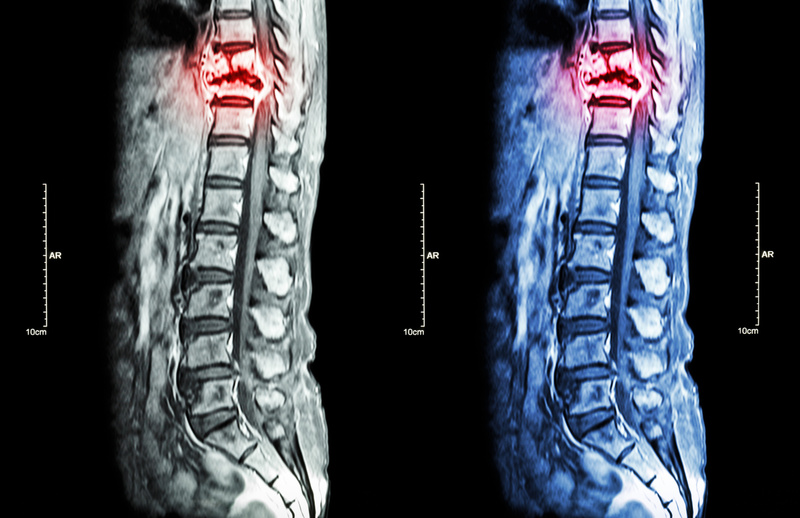 We’re taking a look at seven reasons you should consider spinal surgery below. Although, that is a very common cause of back pain. Pinched nerves are often treated with home remedies. But when you have a disc herniation or spinal stenosis, it can cause severe pain. These conditions compress the nerves in your spinal column. It leads to numbness/tingling, weakness, and even lack of bladder/bowel control. In extreme cases, stenosis leads to paralysis. Spinal surgery relieves this pressure and gets you functioning at a normal level. Scoliosis is the most well-known condition that causes a curvature of the spine. Between six and nine million Americans suffer from scoliosis. It’s mostly diagnosed in children. Treatment usually involves exercise and is successful. But every year, 38,000 people undergo spinal fusion surgery. Scoliosis isn’t the only condition that causes a spinal curve. Flat-back syndrome and kyphosis also affect the natural curvature. Your doctor will likely recommend physical therapy and other non-invasive measures before considering surgery. When healthy, your spine protects, supports, and provides structure for your body. When your spine becomes unstable, sometimes surgery is the only way to stabilize it. Unstable spines happen as a result of different inflictions. Often, it’s the result of an injury — like a fracture. But an extreme disc injury will also cause instability. An unstable spine isn’t only painful — it leaves the body vulnerable. We rely on our backs for almost every function we go through on a daily basis. This puts a lot of pressure on our spine. As we age, we lose mobility. Most of the time, this starts from our backs getting weakened over time. Remember, our backs are our support system. When they lose stability, we have trouble working, walking, sitting, and even sleeping. This causes pain that can move into the legs. In some cases, neurologic problems from a pinched nerve emerge. Fusing unstable parts of the spine through various surgical techniques can improve function. When your back pain reaches a point when you can’t function, it impacts your quality of life. Not only are you kept from providing for your family, but you’re inhibited from enjoying what life has to offer. Severe back pain keeps you from playing golf, enjoying time with your family, and even going on vacation. It’s difficult to sit still in a car, airplane, or cruise ship. With new technology emerging, minimally-invasive procedures can give you a new lease on life. You’ll be able to enjoy activities that were once an impossibility. Many spinal conditions get worse over time. Degenerative disc disease is one of them. It’s caused by everyday wear and tear on your spine. This, in particular, will start causing pain in your legs. You’ll have chronic lower back pain, ranging from mild to moderate. Other progressive conditions worsen in the same way. Your doctor will monitor your progress and discuss surgery when there aren’t any other options. This leads us to the final reason for considering surgery. Unless you have a severe injury, your doctor will usually only suggest spinal surgery when other treatments aren’t working. There is a risk that comes with spinal surgery. A reputable physician will try other pain management procedures first. It’s important that you find a doctor that you can trust to treat your pain. They should discuss all your treatment options with you. This includes physical therapy, spinal injections, and other procedures. Most people consider the thought of surgery scary. When it’s spinal surgery, this fear surfaces tenfold. The good news is, back surgery isn’t what it used to be. There are several minimally-invasive procedures now available. Yes, some invasive surgeries are still required for major spinal injuries. But, surgeons are finding new ways to limit the recovery time while preventing future issues. These procedures are effective for treating pain. They’re also not so cumbersome that you’ll end up on bed rest for weeks. Pain mapping is also a newer, more usual way to diagnose back pain. MRI, CT scans and X-rays are commonly used with great success. These methods of imaging help determine where the pain is. But, it doesn’t determine why you’re experiencing pain. Pain mapping works to get to the root of the issue. Your doctor will inject a medicine into or on the abnormal structure. If the pain stops, they can work on treating the abnormality. If the pain doesn’t decrease or stop, they know something else is causing your back pain. This also helps them figure out what the next course of action should be. Are You Considering Spinal Surgery? If you’re considering spinal surgery, the most important thing you can do is choose the right doctor. They’ll exhaust all non-surgical treatments before scheduling you to go under the knife. They’ll also use the least invasive techniques available. If you’re in North Jersey, and in need of a spinal specialist, contact us. Dr. Spivak is an expert and pioneer in the field of minimally-invasive and laser spine surgery. We’ll be happy to schedule you for a comprehensive assessment.